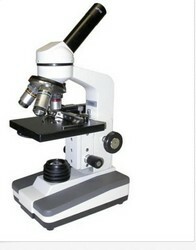 The LWS line of student microscopes has everything necessary for the middle school or high school classroom. This is a proven design with student proof features such as locked-in eyepieces and a durable disk diaphragm. Clear DIN optics, coarse and fine focus, illumination and stage options make this scope a guaranteed winner. Included accessories: dust cover, one fuse, spare bulb manual and warranty card. Additionally, the new LED illumination options will ensure that the scope will last for years and enhance clarity in a great, economically priced microscope. The Student Advanced 3 Microscope is easy to use for any middle school student in the classroom and at home. 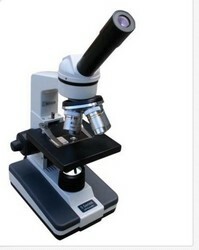 This microscope has standard upgraded features that include a fluorescent light source, an ABBE 1.25 NA condenser with an iris diaphragm, and a 4–hose nosepiece.